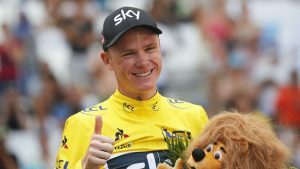 Chris Froome retains his rank at the top of the table followed by Sagan Peter and Viviani Elia who are placed 2nd and 3rd respectively. Valverde Alejandro recent performances upgraded his ranking to the 7th position while Wellens, Nibali and Bardet moved a rank down the cycling rankings. The top 5 nation wise cycling rankings remained the same with Italy leading from the front followed by Belgium and France who are placed at 2nd and 3rd respectively. Colombia moved a rank up replacing Spain who is now placed at the 7th position. Germany made its way to number 11 replacing Slovenia in the nation wise cycling rankings. Belgium’s Quick Step Floors is still the leader of Men’s cycling rankings with Australia’s Michetlton and Great Britain’s Team Sky placed at 2nd and 3rd respectively. Team Sunweb broke in the top 10 teams in cycling rankings as it replaced Team Lotto who is now placed at the 11th position. Van Der Breggen still tops the women’s rankings followed by her country woman Van Vleuten. 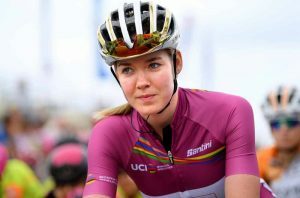 Vos Marianne’s performances in the recent Women’s Tour helped her jump a total of 5 ranks and currently placing her at number 3 in the women’s individual cycling rankings. Moolman, Van Dijk, Hosking and Spratt all dropped from their original ranks but are still pretty much in the Top 10. Meanwhile, Rivera Coryn won the recent Women’s Tour and broke into the Top 10, currently placing herself at the 9th position in the Women’s cycling rankings. Netherland’s Boels Dolmans Cycing team is still present on the top of the table followed by Australia’s Mitchelton Scott and Netherland’s Team Sunweb. The upgrade in ranks was that of Waowdeals Pro cycling team who replaced Wiggle High5 and is placed 7th in the Women’s Team cycling rankings. Netherlands leads by a huge margin over Australia and Italy who are placed 2nd and 3rd respectively in the nationwise women’s rankings. France jumped 2 ranks up while Poland and South Africa moved down one rank and Great Britian broke into the Top 10 by moving one rank above.